Could brushing your teeth really help to prevent arthritis? It’s probably true to say that the majority of people would never make the connection between dental hygiene and the crippling disability caused by rheumatoid arthritis. Astonishingly, however, recent research has revealed that there is a definite link and local dentist Whitefield Carisbrook Dental has now highlighted how a good teeth brushing discipline could go some way to avoiding the painful joint condition. What the research has shown is that the same bacteria that causes gum disease is also known to trigger the crippling arthritis pain that blights the lives of so many people around the world. This surprising connection has long been suspected by medical experts, now says this local dentist Whitefield the latest findings undoubtedly add to the evidence. The main infection is A.actinomycetemcomitans, widely recognised as a major cause of gum disease. The research has established that it is the same bacteria that also spark the production of the proteins that cause the body’s immune system to falter. When this happens researchers have discovered that it can lead to rheumatoid arthritis attacking soft tissue, cartilage and bone resulting in joints becoming stiff and painful. According to local dentist Whitefield, Carisbrook, there is no guarantee that regular and efficient teeth brushing will prevent the onset of arthritis in later life … but … it stands to sense that if you help to remove the harmful bacteria at source, then as well as helping to prevent gum disease, tooth decay and bad breath it should also go some way in helping to protect your system against the risk in later life. If you go to our hygiene page you will see valuable tips, plus a video demonstration of the most effective teeth cleaning techniques – including brushing, flossing and tongue cleaning. 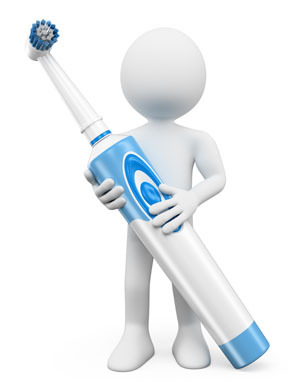 If you would like to discuss any dental hygiene issues with a member of our hygiene team please book an appointment by calling us now on 0161 951 7295. You can also contact us by using the online form on our Appointments page.